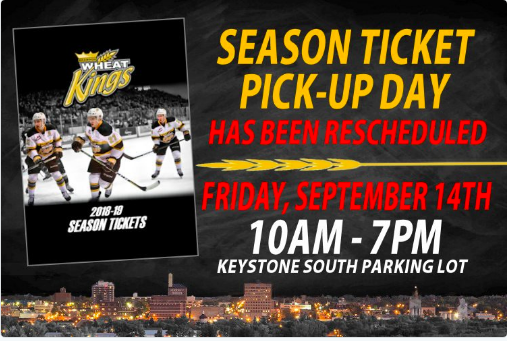 Brandon, MB (CKLQ) - Brandon Wheat Kings Season Ticket Pickup day has been re-scheduled from tomorrow (Friday the 7th) to next Friday, September 14th. 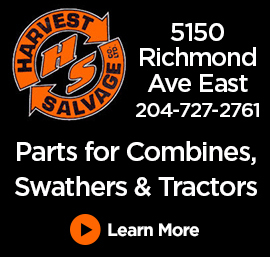 Montana's and the Chip Truck will be in attendance for food and snacks and QCountry and Star FM will be on location. Tickets will be available for pickup from 10:00 am to 7:00 PM. Following the event, the Wheat Kings will host the Moose Jaw Warriors in exhibition action. Game time is 7:30 and can be heard on QCountry 91.5 with Branden Crowe and Pete Gerlinger starting with the pre-game show at 7:00.